What possible effect can a 14-year-old have on home teaching? I'm just a kid. Who am I to be telling an elder to do his home teaching? Not just an elder, but an elder that I have never met or even seen at church. The only thing I knew about him was his name and that he was an ex-athlete. I had been called to be a junior home teaching companion three months earlier and still had not visited anyone. It didn't help that my two best friends were already active home teachers. One was assigned with his father and the other to a member of the elders quorum presidency. My own father was in the bishopric and at that time was not assigned as a home teacher. What could a 14-year-old companion do? My feelings of guilt had to be Brother Jensen's fault, I decided. 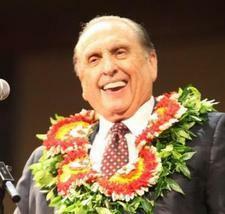 He had been my deacons quorum adviser who taught us how important home teaching was. He also explained that as a teacher in the Aaronic Priesthood, it was our duty to be faithful home teachers. He had warned us that we might have to remind and encourage a senior companion to do home teaching. Well, my options were really very simple. I could continue to wait for my senior companion to call and do my best not to feel guilty, or I could go to his house, introduce myself, and arrange to go home teaching. On the one hand, he was the senior companion. He was supposed to take charge, not me. Wouldn't I be assuming too much authority by contacting him? He might even get offended. Better to wait, I thought. Then Brother Jensen's words would come back to me again. "If your senior companion doesn't contact you," he said, "then you must contact him and let that brother know you are ready to go home teaching." He explained that if the senior companion still didn't go home teaching, the responsibility would rest on that senior companion. Until we made the effort to go, we had to share in that failure. I finally committed to go to my companion and introduce myself. As I went to church that Sunday, I began to feel more and more nervous. What would my companion think? Would he laugh at me? Maybe he would get mad and run me off. I didn't feel I could do it, but I had promised to follow through and make the attempt. If he responded negatively, then I would have at least done my part. I normally walked home from church, passing my companion's house on the way. As I neared his house, I forced myself up the driveway and said a prayer, very simple, very direct. "Lord, please help me." My fears left me for the moment, and I quickly climbed the steps to the front door and knocked. I knew someone would answer because I could hear what sounded like a party going on inside. The fear was coming back, but it was too late to run. I had already knocked. The door opened, and a woman asked me what I wanted. She may have been polite, rude, sensitive, or even abrupt. I don't know because I was trying hard to remember what it was I was there for. "Is Brother Johnson here?" I finally asked, timidly. "Just a minute, please." I thought I could hear laughter but wasn't sure. I didn't have time to breathe before a very tall man stepped to the door. He seemed none too friendly. My eyes must have been big enough to cover my face. I'm sure he noticed I was scared because he started to smile a little. I calmed down just enough to utter my little prayer in my mind one last, desperate time. "My name is John," I began in a voice that didn't sound scared to me, "and I'm your home teaching companion. I was wondering when we could go home teaching?" I don't know if he was amused or surprised, but he didn't throw me off the porch. Good start, I thought. He just smiled and said, "Give me your phone number, and I'll call you back." I went home feeling pretty good. I felt that I had made a good effort, and if he didn't call back, I could say I had tried. When I arrived home, I told my parents what had happened. I don't think they expected me to get a call. Later that night, I received a call from Brother Johnson, my companion. "Can you go home teaching Tuesday at seven?" he asked. "I'll pick you up then. Bye." He hung up. Tuesday night we went home teaching. I found out later he had called the elders quorum president after I had left his house that Sunday to get the names and phone numbers of the families we were assigned. He then called the families and made appointments. That became our routine. On the third Sunday I would stop by his house, and then he would set up appointments. We rarely, if ever, missed anyone in the two years we were companions. We also became pretty good friends. Brother Johnson even came to church a couple of times. He said he just wanted to see the quorum president faint. I learned two very important lessons. First, an Aaronic Priesthood holder can have a positive influence on home teaching. Second, a less-active brother can be the most active home teacher. As a home teacher, Brother Johnson taught me a lot.